Goulash (pronounced as Gu-yash), has its name originating from Hungarian gulyas, the word for a cattle stockman. It was traditionally a thick stew made by the herdsman. 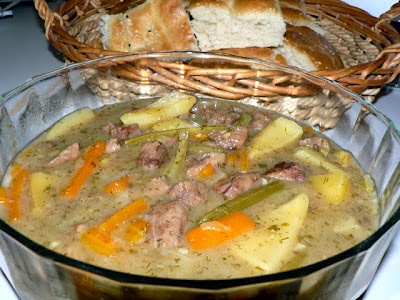 Its considered to be the national dish of Hungary. 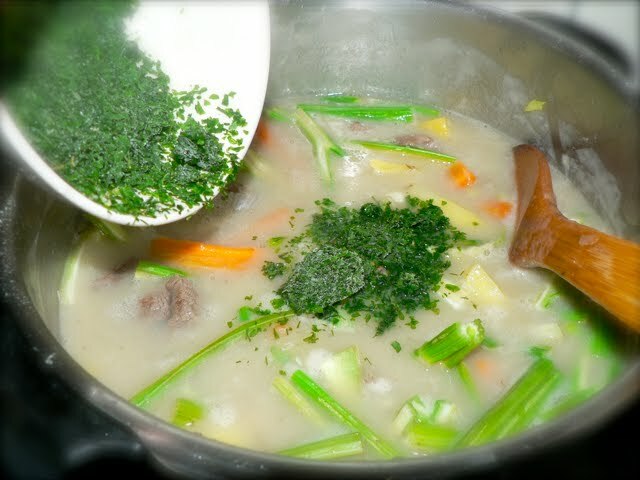 Today it is prepared in both soup and stew forms with a variety of combinations of vegetables, onion and beef/lamb/pasta depending upon its ethnicity. The real flavor of all the vegetables and the meat is retained, since I do not use any spice at all ! Flour is used to thicken the goulash, which gives it a starchy texture and a blander taste. To sum it up, its a complete, wholesome and a healthy meal in itself, with the potatoes and flour providing the starch and the meat providing the required proteins for the body. 1. Cut the lamb into small cube sized pieces. 2. 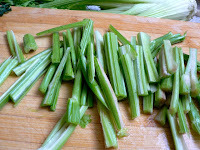 Chop the onions, garlic pods, and spring onions. 3. 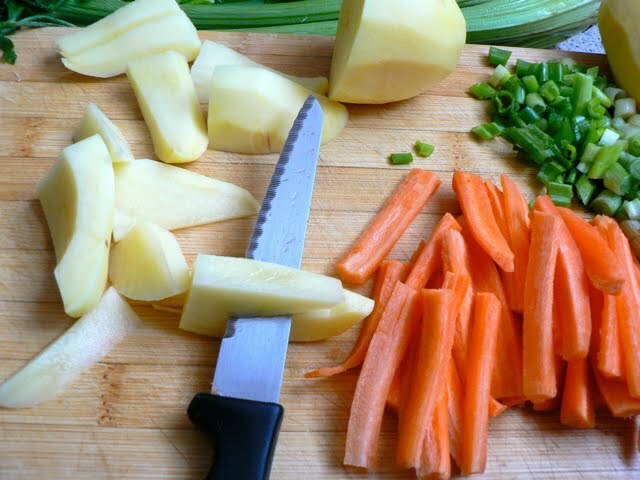 Wash and cut the carrots, Potatoes and Celery into thin long strips. 4. In a pan, put the lamb cubes and add water just sufficient enough to cover them. Cook for 5 minutes and then drain away the water. 5. In a different pan, heat the olive oil and cook the lamb cubes in it for about 3 minutes by constantly stirring them all around. 7. 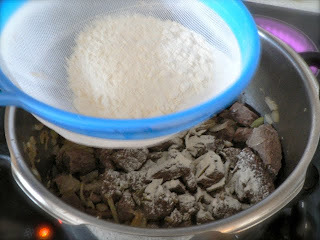 Sift the flour over the lamb and mix thoroughly. 8. Add 1 litre of water to it and cook for another 15 minutes. 10. 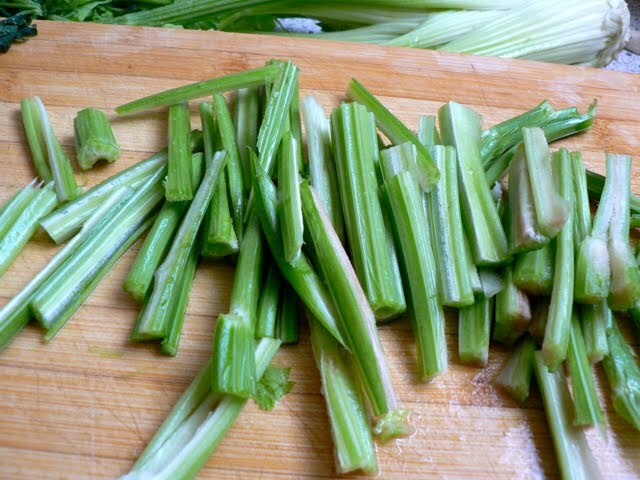 Serve it with boiled or mashed potatoes, polenta or alternatively, as a stand-alone dish with bread ! 1. 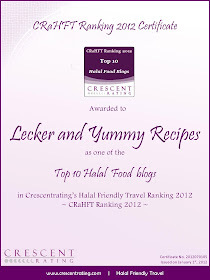 You can as well add your desired spices like paprika powder or pepper powder to make it spicier ! 2. If you do not want to add flour, add mashed potatoes instead to make it thicker and smoother. 3. To make it a thin soup, use water or chicken broth. this recipe looks delicious with so many lovely ingredients used in it ...i love to try a veggie version ,is it possible reshmi?? Interesting stew..unique one, looks super delicious..will surely try this. Fantastic dish, looks yummy and droolworthy..
You have interesting recipes in here!Loved that stew. yummy soup will make this on saturday! I love anything lamb and this goulash looks both hearty and delicious. Thanks for sending it to Souper Sundays!